IBM and Columbia University have partnered to develop a facility dedicated to blockchain technology research, education, and innovation, according to a July 17 press release from IBM. Columbia University and IBM today announced a new Center devoted to research, education, and innovation in blockchain technology and data transparency. To advance compelling new ways to apply blockchain and help address growing demands around data transparency, the Center will also include an innovation accelerator to incubate business ideas from entrepreneurial students, faculty and members of the startup community. The center, named the Columbia-IBM Center for Blockchain and Data Transparency, is intended to advance exploration into how blockchain technology can be utilized for “secure multi-party computation, homomorphic encryption, secure hardware, fraud reduction, and improving precision medicine through insight from collective data sources.” IBM hopes the project will be a catalyst for new business models and the creation of policies that support secure sharing and storage of sensitive data. The Columbia-IBM Center for Blockchain and Data Transparency will combine cross-disciplinary teams from the academic, scientific, business and government communities to explore key issues related to the policy, trust, sharing and consumption of digital data when using blockchain and other privacy-preserving technologies. Conducting new research and accelerating scientific breakthroughs in the areas of data transparency and blockchain across industries. Building technology capabilities that apply blockchain in new ways. Advising on emerging policy and regulation related to trusted blockchain and data transparency practices. Pioneering ways to responsibly balance regulatory and data ownership issues with new data monetization models. Strengthening and expanding professional skills in blockchain and data transparency through education and internships. Supporting startups through a business accelerator focused on blockchain and data transparency. The collaboration will advance research in technologies such as secure multi-party computation, homomorphic encryption, secure hardware, fraud reduction, and improving precision medicine through insight from collective data sources. This will spur the creation of new business models, services, and policies to support the sharing of data in a secure, privacy-preserving and tamper-proof manner. The Center will draw on Columbia’s academic strengths in data science, engineering, business and law, combined with IBM’s extensive expertise in technology Research and Development. IBM also lends practical insights from blockchain product development and the implementation of blockchain projects with hundreds of enterprise clients globally. IBM is helping clients around the world apply blockchain to address a wide range of business processes such as global supply chain, trade finance, cross-border payments, food safety and others. Columbia University has deep and broad expertise in research and education in trustworthy computing, data transparency and data privacy. This joint collaboration aims to further accelerate the creation of needed skills, talent and innovation in this area to help support many industries as the two organizations work together to source new ideas and capabilities. The Center will be supported by a steering committee consisting of Columbia faculty and academic leaders and IBM Research scientists and business leaders. A formal call for proposals for curriculum development, business initiatives and research programs is scheduled for later this year. The creation of the Center is another important milestone in the 70-plus year history of collaboration between IBM and Columbia University. Thomas J. Watson, Sr. established IBM Research at Columbia University in 1945, and the strong Research legacy that has continued to thrive among both organizations forms the cornerstone for many of the most important business and technology innovations today. IBM has been very active in promoting the use of blockchain technology lately. In May, ETHNews reported that the company intended to create 1,800 new jobs centered around artificial intelligence, cloud computing, IoT, and blockchain technology. The next month, the Indian government announced its collaboration with IBM to create online blockchain education courses. 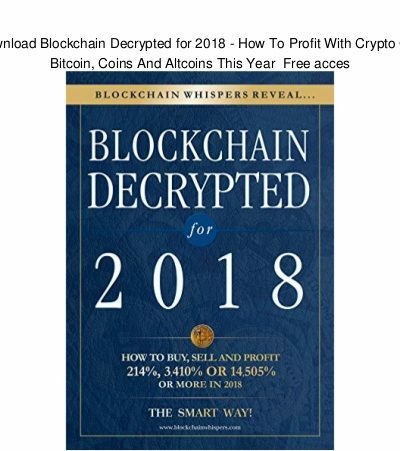 And in early July, IBM revealed it was working with the Australian government to help develop blockchain solutions to improve data storage and security. The International Business Machines Corporation (IBM) is an American multinational technology company headquartered in Armonk, New York, United States, with operations in over 170 countries. The company began in 1911 as the Computing-Tabulating-Recording Company (CTR) and was renamed “International Business Machines” in 1924. IBM manufactures and markets computer hardware, middleware and software, and provides hosting and consulting services in areas ranging from mainframe computers to nanotechnology. IBM is also a major research organization, holding the record for most U.S. patents generated by a business (as of 2018) for 25 consecutive years. Inventions by IBM include the automated teller machine (ATM), the PC, the floppy disk, the hard disk drive, the magnetic stripe card, the relational database, the SQL programming language, the UPC barcode, and dynamic random-access memory (DRAM). The IBM mainframe, exemplified by the System/360, was the dominant computing platform during the 1960s and 1970s. IBM has continually shifted its business mix by commoditizing markets focusing on higher-value, more profitable markets. This includes spinning off printer manufacturer Lexmark in 1991 and selling off its personal computer (ThinkPad/ThinkCentre) and x86-based server businesses to Lenovo (2005 and 2014, respectively), and acquiring companies such as PwC Consulting (2002), SPSS (2009), and The Weather Company (2016). Also in 2014, IBM announced that it would go “fabless”, continuing to design semiconductors, but offloading manufacturing to GlobalFoundries. 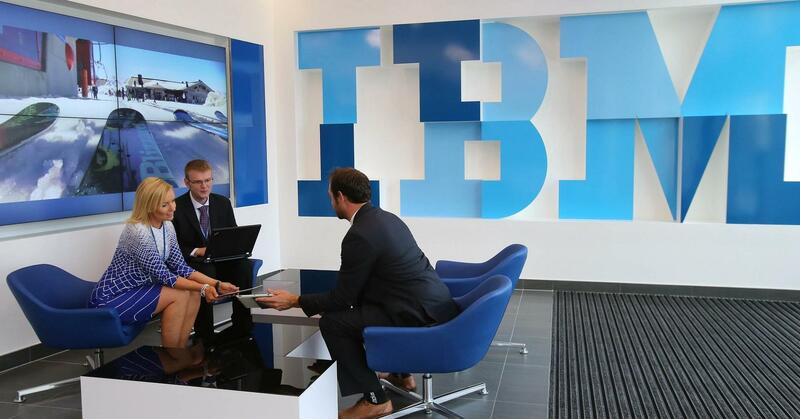 Nicknamed Big Blue, IBM is one of 30 companies included in the Dow Jones Industrial Average and one of the world’s largest employers, with (as of 2016) nearly 380,000 employees. Known as “IBMers”, IBM employees have been awarded five Nobel Prizes, six Turing Awards, ten National Medals of Technology and five National Medals of Science. A 1787 charter placed the institution under a private board of trustees before it was renamed Columbia University in 1896, when the campus was moved from Madison Avenue to its location in Morningside Heights. Columbia is one of the fourteen founding members of the Association of American Universities and was the first school in the United States to grant the M.D. degree.The university administers the Pulitzer Prize annually. Columbia is organized into twenty schools, including many undergraduate and graduate schools. Its affiliates outside of the US are known as Columbia Global Centers. In athletics, the Lions field varsity teams in 29 sports as a member of the NCAA Division I Ivy League conference. The university’s endowment stood at $10 billion in 2018, making it one of the largest of any academic institution. The university has graduated many notable alumni, including five Founding Fathers of the United States, an author of the United States Constitution and a member of the Committee of Five. As of 2018, Columbia’s Alumni include three U.S. presidents, 29 foreign heads of state, 10 Justices of the United States Supreme Court, 95 Nobel laureates, 101 National Academy members, and 38 living billionaires In addition, Columbia students and alumni have won 39 Academy Awards, 125 Pulitzer Prizes, and 11 Olympic medals.